First we were pumped - then less so. Then reassured, and now, decided. 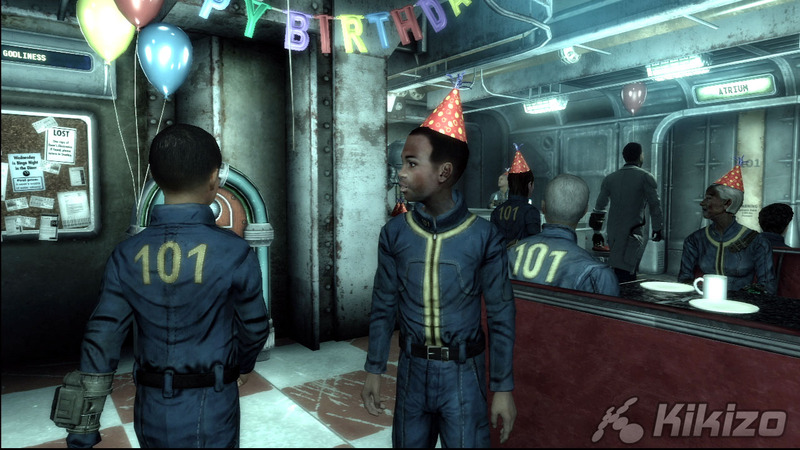 Is Fallout 3 megaton or mega letdown? Being good or bad has its own rewards - evil characters will often be able to claim superior cash prizes (or at least have less work to do than someone trying to mediate talks between parties) but neither affects the locals' perception of you in the same way as Fable II does so successfully. Followers may join you should they share your love of good or evil deeds. There are different endings to the game depending on your final decision, but even a paragon of goodness like my character can suddenly develop a deviant yellow streak and opt for a "Save yourself first!" mantra to see out the game's closing moments. One of the successes in bringing this world to life lies in just how important items are to your survival. The best condition most weapons will be found in is 50%. If you don't take care of them properly even a baseball bat is likely to break in combat when you need it most. Radiation is another major factor and those who choose to eat the local delicacy of molerat meat on a stick will have to watch the ion count far more than the calories. Things can be very difficult for players starting out, however, as I honed my skills and played to their strengths I actually found later levels became rather too easy. Even so, I did die a good three dozen times when playing through the game. 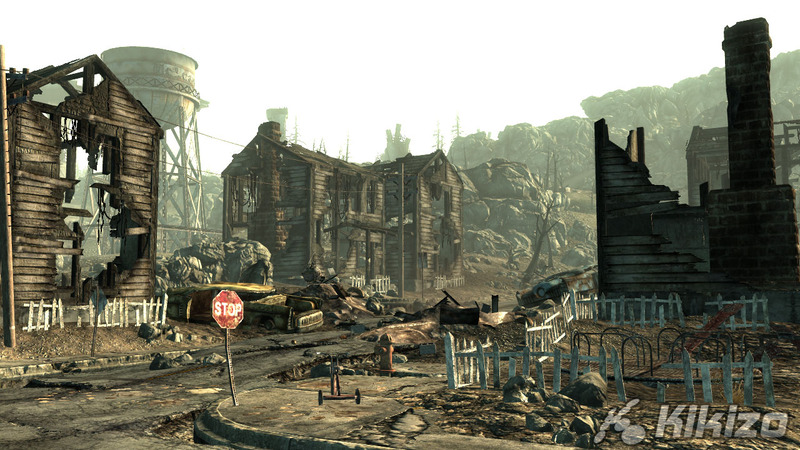 The autosave feature when sleeping or entering buildings is welcome, but I advise frequent manual saves when travelling through the wastes. VATS (taken from the turn-based combat of previous Fallout games) allows specific targeting of an enemy's body, such as their weapon, arms, legs or head. 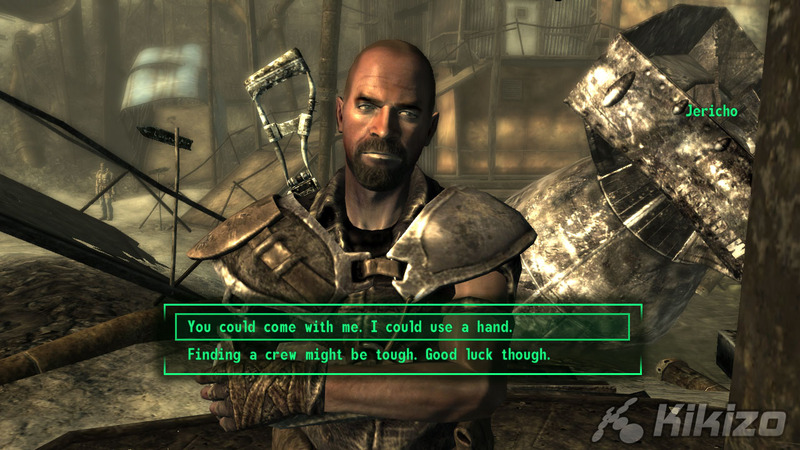 As Fallout 3 plays like an open-world First Person Shooter, many will be happy to play through it as such, and those who choose to make a soldier character will find no problems in doing so. Much like my time spent at 2am in sweaty nightclubs, I had to pick my targets carefully, hiding behind corners and jumping out at the last possible second. This is where the VATS system comes into its own, as I could fire three rounds straight into my opponent's brain, at which point a slow motion clip shows you the results. 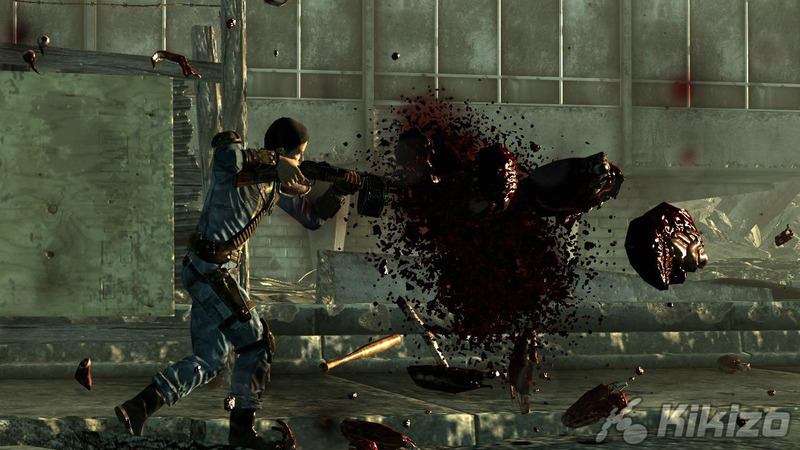 VATS uses action points and acts like a special move; should you miss you can still unload the rest of your clip into your enemy's face in real time while your action points recharge. 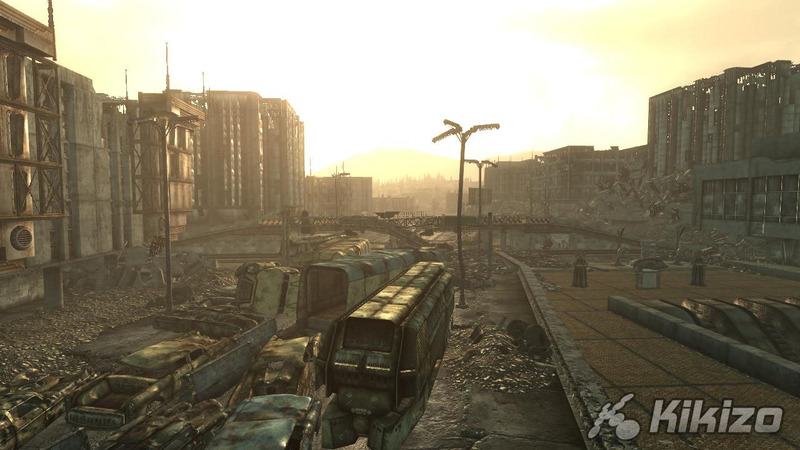 Fallout 3 is a massive free-roaming science fiction endeavour then, however many of its problems stem from the fantasy brother which it has been based on. Most obviously, pop-up is a common occurrence and again it's visible within a circle about 50 yards around your character. It's never a problem in the many subways tunnels, factory floors or sewer systems you find yourself in, but it does detract from the realism of the wasteland. More of a problem is the boneheaded enemy AI. 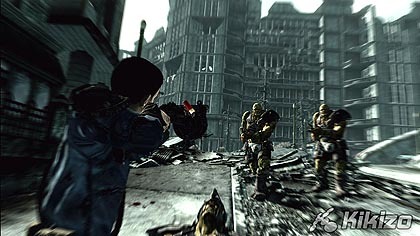 Enemies equipped with clubs, or creatures who have no firearms charge straight towards you, meaning the most effective tactic is to walk backwards as you unload round after round into them. If you can spot them first, simply lay a path of mines, shoot to grab their attention and laugh as their legs are blown off and their limbless corpses rain the remnants of their body fluid all over your screen. Enemies with weapons simply don't behave as well as we're used to in modern FPS games either. They make good use of cover and stick to the appropriate range for whatever gun they are using, but no attempt is made to flank you while you concentrate fire on their buddies. 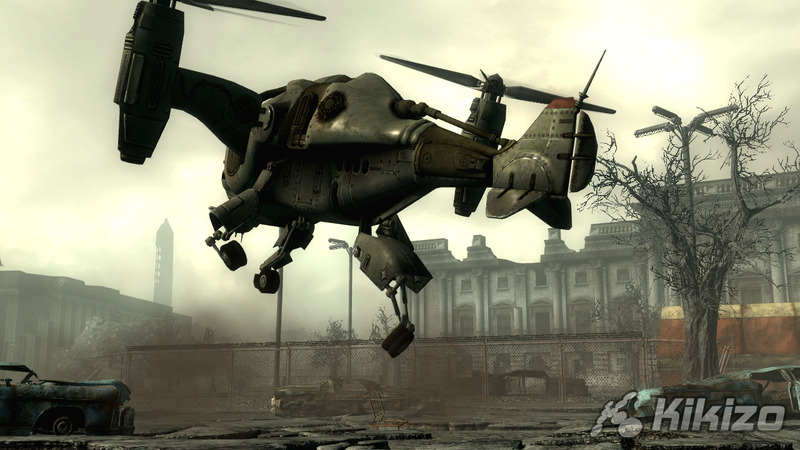 Whilst Fallout 3 does suffer the same failings as Oblivion, and one can't help but think these could have been improved upon, it's easily forgiven when Oblivion was such a outstanding game to begin with. It brings with it the same awesome scope; the 30 hour or so main quest really is nothing compared to what the side quests and exploration have to offer. Every player who creates a character will find their own playing style and perks to carve a niche into the Super Mutant Behemoth's forehead. It is a game which successfully replaces fantasy for science fiction, managing to create a dissonant yet familiar and completely immersive world. 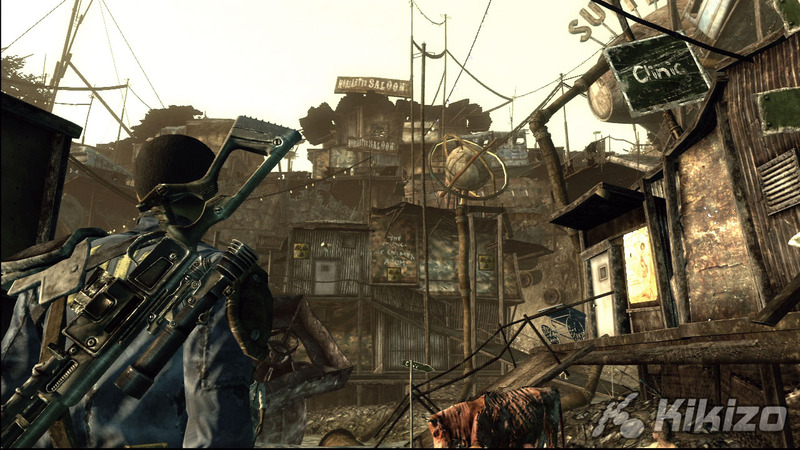 For its minor flaws, Fallout 3 is not only a worthy successor to the original games - and Oblivion - but an outstanding title in its own right. THE VERDICT: The thing which pulls these disparate scores together and elevates Fallout 3 above the sum of its parts is carried throughout, in abundance - atmosphere. 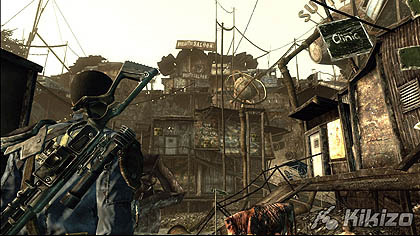 From the hollow wind blowing down through subway tunnels, to the radioactive dust clouds swirling throughout the wasteland, up to the buzzards circling the encampment where the bodies of 30 slave traders lie; Fallout 3 is as much a game as it is a training sim for the coming apocalypse. Give me another 100 hours with this, some lead lining round the garden shed and 300 tins of Pork N Beans and then I can get back to normal life.